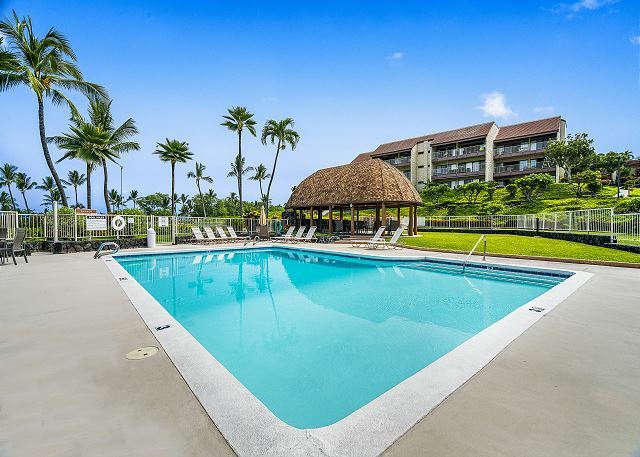 Keauhou Punahele#E-102 is a beautiful ground floor 2 bedroom, 2 bathroom condo with approximately 1200 interior sq feet. It sits right on Keauhou Country Club golf course. Enjoy an expansive lanai that reaches from living room to the master bedroom. It's equipped with patio furniture, a Private gas grill and roll down sun shades to keep the unit cool. You'll take 1 set of stairs down to the Ground Level from the parking area and when you enter into Unit#E-102, there's a spacious living room with a plenty of seating space. The kitchen is fully stocked with everything you would need! Granite countertops, stainless steel appliances, open layout! The Master bedroom has it's own en-suite bathroom , walk in closet , duel vanity sinks and a large walk in shower! The Guest bedroom hosts a set of twin beds and plantation shutters on the windows for privacy when needed. It does have it's own Guest bathroom with a walk in shower as well! The property is equipped with it's own full size washer & dryer! 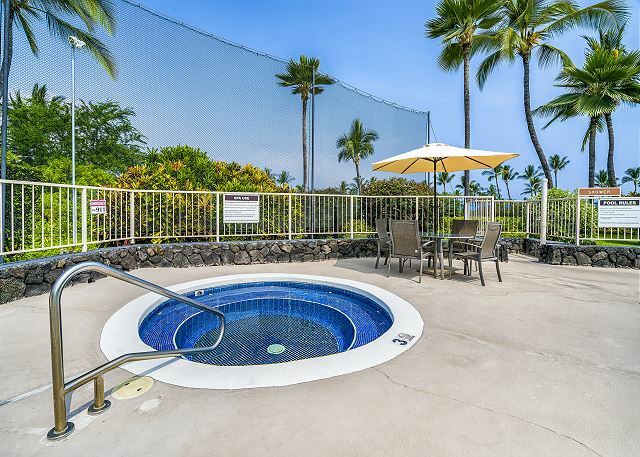 You truly feel like you're in your own world in this very private and & very quiet Keauhou Punahele garden level condo. Keauhou Punahele has a tropical styled pool, spa and pavilion area! Keauhou Punahele is positioned along the Kona Country Club golf course, close to Keauhou Bay for swimming, paddling and boating. 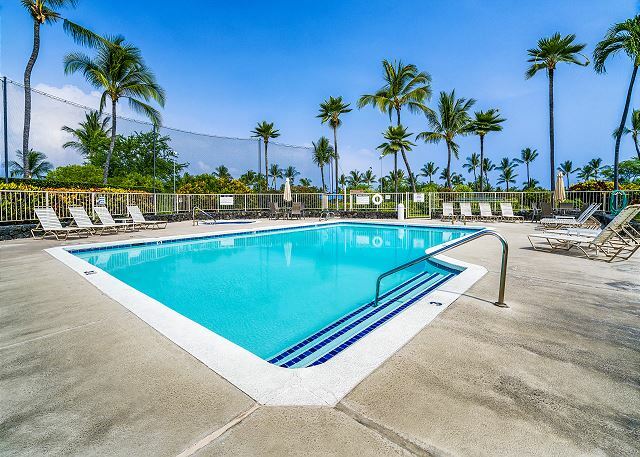 Located in popular Keauhou Resort, everything you need is just minutes away: dining and shopping, plus a weekly Farmer's market, a movie theater and services, the Sheraton Kona Resort & Spa for oceanfront restaurants and entertainment. This is the perfect spot for your Vacation if you're looking for something quiet & spacious! A great option for 4! 5 night minimum per CC&R Restrictions. 7 night minimum during Ironman timeframe of October 1st-20th.